What's Wrong With You? : What's "What's Wrong With You?" Successful people telling true stories of failure. Guests include: Entrepreneurs, authors, music producers, comedians, advanced wine sommeliers, top YouTube creators, and more. 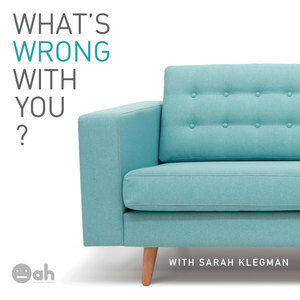 Join host Sarah Klegman on a journey to humbly, honestly and playfully examine the human condition. Welcome to "What's Wrong With You?"